Bought one and works good. Measures in pounds and tenths of pounds. Just cant figure out why they don't match culling balls, pounds and ounces. Love it. Added a lip clip to weigh the fish easier. 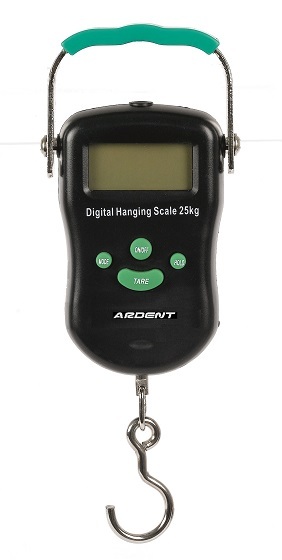 This is a handy little digital scale; it is easy to use and can measure in pounds or kilograms, and even has a separate scale for measuring ounces. I tested the accuracy on an old set of dumbbell weights and found the 4.4 lb (2 kg) weight was dead on accurate. Heavier weights seemed to weigh slightly lighter than the actual weight of the dumbbell, and is the only reason I gave it a 4-Star rating.